The Perfect Donkey Birthday Party for your boy or girl! Only $300 (or less if you pay in full). Having a Donkey Birthday Party will help to financially support our activities and provides the opportunity for a fun-filled birthday party for your child. This party also comes with with a positive empowerment message for the kids and their parents. What to Expect for a Donkey Birthday Party! We will bring two mini donkeys early, along with fun hats. Your child will have a special time alone with the donkeys, picking out the perfect attire for the fun event. We will also bring a colorful, fun obstacle course for the donkeys. Your child can help to set up this obstacle course. When the other kids come, let the fun begin! Each child can either ride (if under 50 pounds) or lead (if over 50 pounds or would prefer to lead) one of the donkeys through the obstacle course. While this is happening, party goers can groom the other donkey. Photos will be encouraged. The festivities will last 2 to 2 1/2 hours! 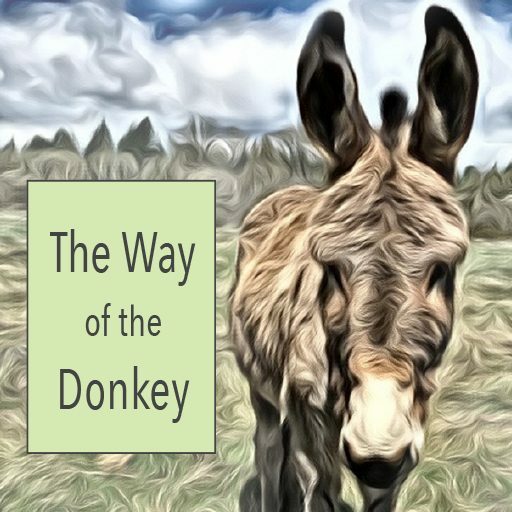 Way of the Donkey includes seven strategies for kids to live happy and empowered lives ~ and respond effectively to stressful situations. These Ways include: Connect With Friends. Reach Out To Be Kind. Build Your Strengths. Be Thankful. If things get tough… Stop and Stay Focused. Stand Tall. Think Things Through. Read more here. The kids at the Donkey Birthday Party will receive a coloring book with the seven Ways. Parents will receive a guide on these strategies. The number of Donkey Birthday Parties we can offer per month will be limited. We expect the summer months to book quickly! The donkeys may also available for other special events — just write to ask. We will need a small area, preferably grass. We will clean up any “deposits.” Signed parent/guardian permission will be required on our forms. A safety helmet will be provided. We carry liability insurance. We can offer parties in Eugene/Springfield and the surrounding areas (20 miles). Start-Up Special – Summer 2019!!! If you schedule and pay in full for a Donkey Birthday Party the price will be only $275. Otherwise, a $50 nonrefundable deposit will be required. Full payment will be required two weeks before the scheduled date. Email us here to provide your requested date and time. Dates are available on a first come-first service basis. We will confirm and send you a payment request via PayPal.